After our recent 2012 results were posted on Chow Hound, several people chimed in on our rankings and made recommendations on other lobster rolls joints we should try. 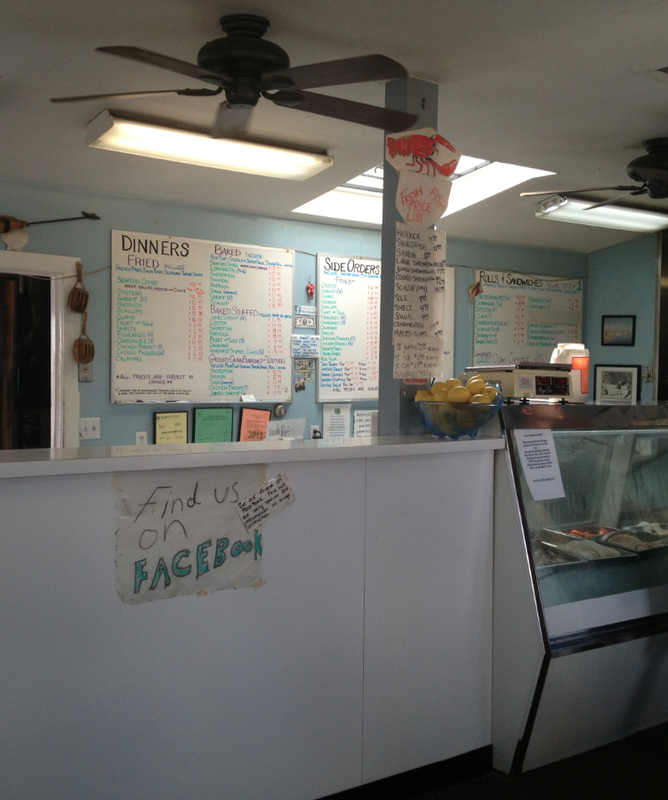 One place that received a lot of reviews was Belle Isle Seafood in East Boston, MA. We’d never heard of Belle Isle, but figured since it’s pretty close to home we’d give them a try. One thing that’s worth mentioning straight away is that Belle Isle is moving just across the river into Winthrop. In fact, from the current Belle Isle lunch counter you can see their new building as it nears completion. Frankly, this is good news, as the current Belle Isle is without a doubt the most gritty roll joint we visited. The entire property is surrounded by bridge construction, with heavy equipment, Jersey barriers, and chain link fences everywhere you look. You have to follow the spray-painted plywood signs to park around back, and as you approach Belle Isle you really start to wonder what the heck you’re getting yourself into. We approached the counter and noticed the small dining area was pretty full. Luckily, most people who were waiting for their orders chose to eat outside along the water, freeing up a couple of seats. Our rolls took about 10-minutes to be made to order, and were delivered in a flat brown paper bag a la fish and chips. Removing our plates from the bags, we found a very large roll filled with really beautiful, fresh mayo-dressed lobster meat. The roll itself was a standard New England style split-top hotdog roll, but the roll was so full of meat it took a bit of manipulation to be able to see if the outside of the roll was grilled. Well, it may have been… but to our eyes (and taste buds) it seemed more toasted than grilled. If there was any butter applied to the roll, it was not noticeable to us. The lobster meat itself was truly fresh and delicious – some of the best we’ve had. But we both noticed that, aside from a couple of lettuce leaves, the roll was naked – that is, no salt, no pepper, not nothing. Usually this is no big deal because the butter-grilled roll typically delivers a light dose of salt, as well as a buttery rich bottom. In this case, because the roll was so lightly toasted and seemed to lack any butter, and because the roll was otherwise plain, despite its high-quality lobster meat this role left us wishing for just a bit more taste. Another admittedly nit-picky thing we noticed was that the lettuce under the lobster meat was not shredded, so when you bit into the roll, unless you were careful to bite through a mountain of lobster and all the lettuce, you ended up pulling all the filling out of the role when trying to set the role down. And, of all the lobster roll joints we surveyed, this was the only one where we found broken pieces of shell on our roll. We’d originally intended to hit two roll joints today, but after finishing the Belle Isle roll we were stuffed. Granted, these rolls were $20, but were still a good deal based on their size. 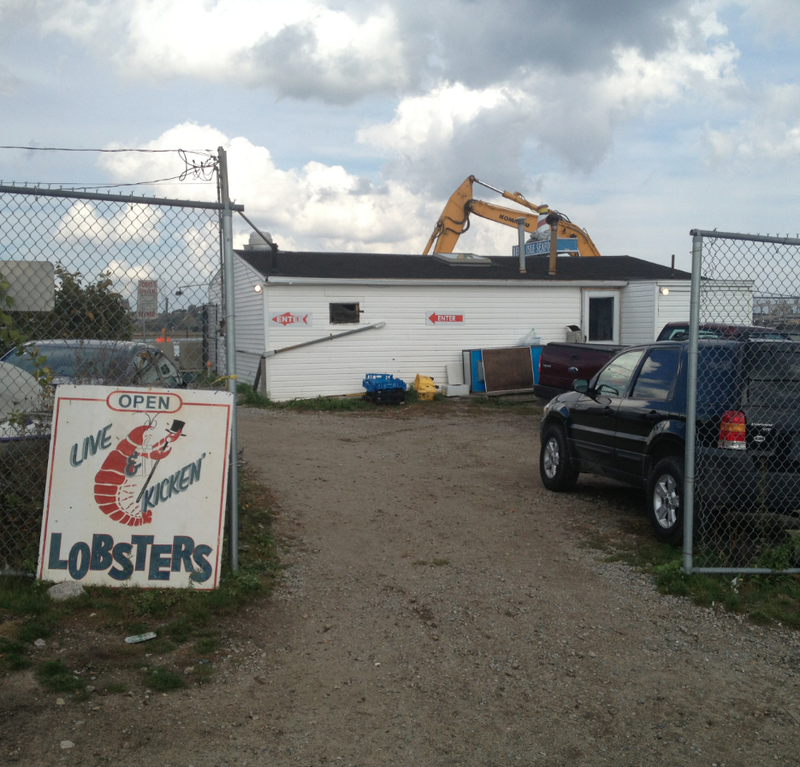 Belle Isle Seafood is located at 1267 Saratoga Street in East Boston, MA. Their WEBSITE appears to be down. FACEBOOK: https://www.facebook.com/pages/Belle-Isle-Lobster-And-Seafood/405098856171151?fref=ts. PHONE: 617.567.1619. Beautiful, fresh lobster, but lacking in the taste department. 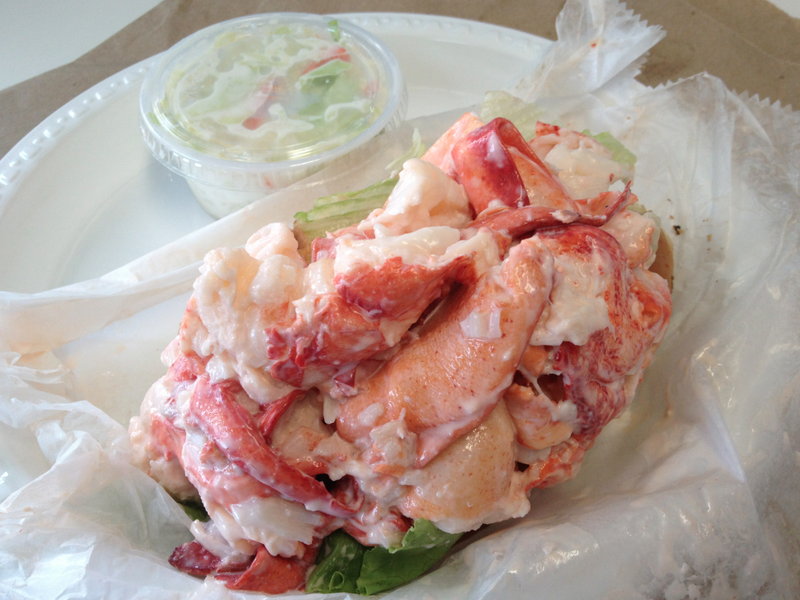 The Lobster Roll Chronicles 2012 Results Are In!